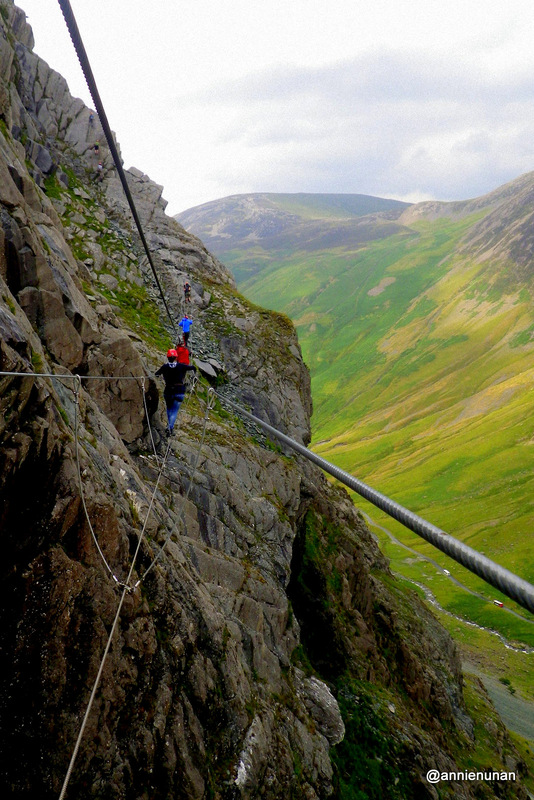 The Borrowdale, all peaks, pikes, pies and Via Ferrata extreme…. London, a great city, but not in the hard heat of a blistering summer – where to go and what to do? 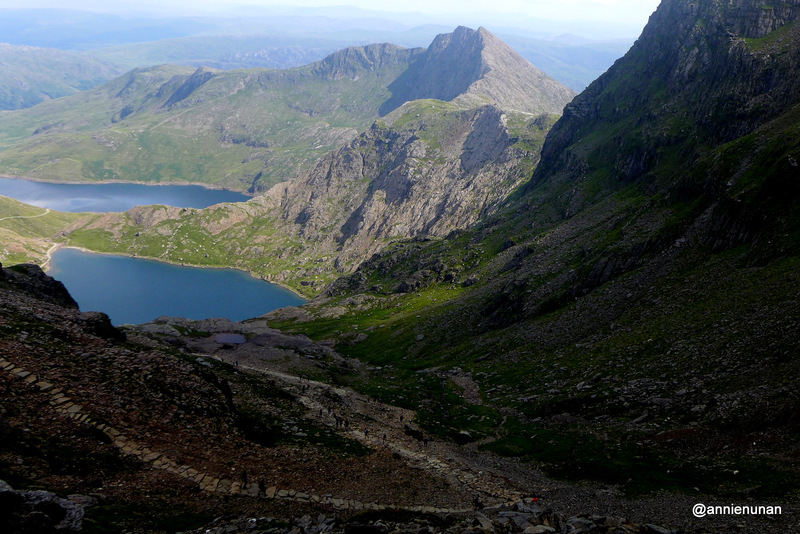 Scafell Pike, Ben Nevis or Snowdon? All three or maybe just two and a few Wainwrights….off we go. Sun shining, Costa on board, a 06.30 start and a swift 275 miles later we were on Snowdon’s foothills by 12.00. Parking is a fiasco if you arrive after 09.00 – oops – oh well. Up to the top, down to the bottom, a swim in the lake and a night at the fine (well acceptable) YHA. Snowdon and a cracking view..
A shame to leave such a beautiful landscape so soon but the Lakes were calling. A few hundred miles and Kiln How in the Borrowdale hove into view, glorious and right next to the famed Scafell Hotel (see C2C blog). 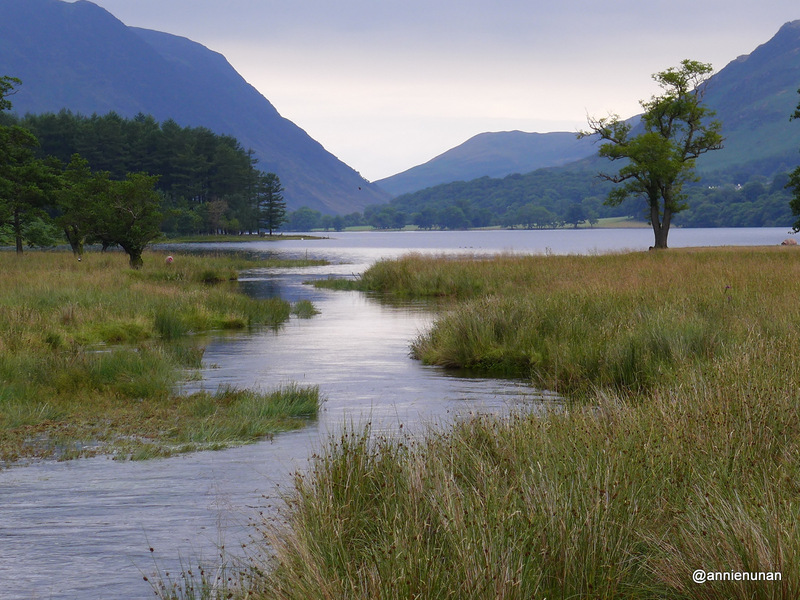 Day one – Rigghead Quarries, High Spy, Maiden Moore, Cat Bells, down to Keswick and back along Derwent Water to the Grange Bridge Cottage tea rooms for best scone this side of Kent. Cracking day, circular and very achievable. The route to Honister, to reach Haystacks and a dip in Buttermere, is easily found from Rosthwaite, but was beyond our not to honed navigational skills and the maps, compasses and GPS were mostly misunderstood, so an extended march via Fleetwith Pike it was. Haystacks rarely a great challenge but always an iconic hill sitting low amongst a fearsome ring of Lakeland monsters. On-on and a little bit of Via Ferrata extreme, wow, a breath-taking, scare making, screech inducing trip above Honister. The biggest knee tremble I have ever encountered on UK soil and I would thoroughly recommend it. Great adventure. Safe but scary. Do it. Time for a relax so it had to be the corridor route up Scafell – a nice, fairly challenging, usually people scarce route. For once the role of walk leader came naturally, well having picked up some stray Geordie lads, poorly attired, highly sweaty and in need of some firm direction I simply had to. 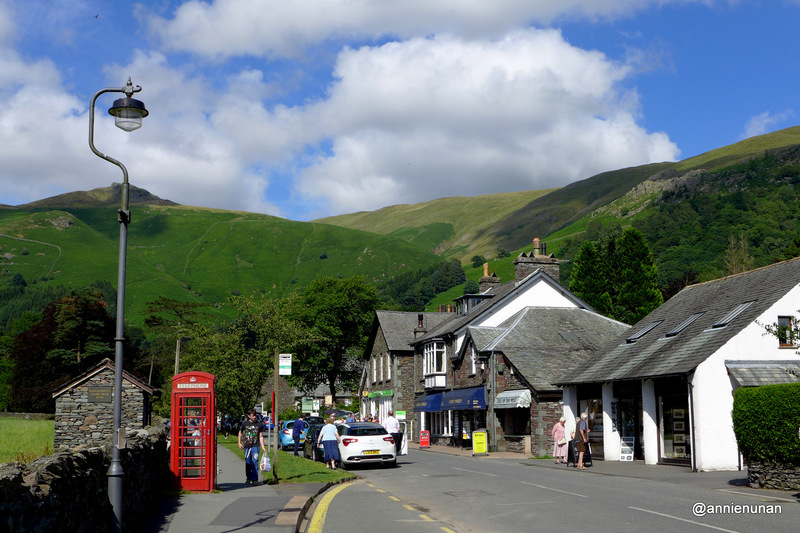 Trips to Grasmere and Wordsworth’s Dove Cottage – fantastic, the walking shops of Ambleside – awesome and the ever faithful Dog and Gun – delicious, my love of the Lakes remains alive and well. A staycation well worth doing again-and-again.